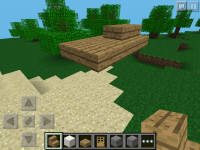 I expected the stairs and slabs to develop shading like the PC version, stairs and slabs are blocks and I thought they would appear to have shadow beneath it. What actually happen was once I placed slabs as the second floor, I noticed there wasn't any source of shadow created. I tested out the stairs, same results. 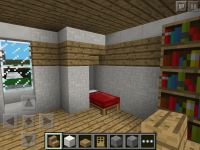 MCPE-5478 Half slabs and stairs don't give shadows.